Bad Credit, Need a Car: Earn-a-Car’s Pre-approval gets you in! Did you know that it is possible to buy a car even with bad credit? Many people with a poor credit record give up on their dream of buying a car after being turned down for vehicle finance. Getting finance to buy a car can be really hard if you have a bad record. However, thanks to Earn-a-Car, you can buy a car of your own even if you have a poor credit history. At Earn-a-Car, we do not perform a credit check, so you get to start on a clean slate. 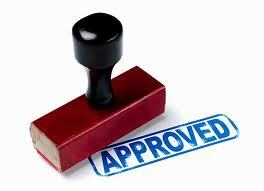 Even if you are blacklisted, we can get you pre-approved to buy a car of your own. We understand that having a poor credit history can be a barrier to turning your finances around. Having a bad credit rating can cost you a lot of time and money. Without a good rating, you may have been turned down for vehicle finance and refused any loans. It is especially frustrating when you consider that people who are blacklisted are trying to improve their financial situation, but they are the ones with odds stacked against them. The result is that many people with poor credit ratings are forced to spend a lot of money on transport, relying on public transport and lifts to get from place to place. Earn-a-Car understands the frustration of being without a car when you are trying to improve your credit record. That is why we do not perform credit checks and we help our clients get pre-approved to buy a car. Once you have a car of your own, you can cut down on the money you spend on transport, while also improving your credit record. Getting a car of your own is easy with Earn-a-Car. Simply provide us with a valid driver’s licence, proof of your ID, three months of original bank statements, a recent payslip or proof of income and your proof of residency and we can help you finance a car today. When you apply to Earn-a-Car, we can give you pre-approval so that you are driving a car of your own within 24 hours. If you have bad credit and want to buy a car, contact Earn-a-Car today.